Learn how to build real world applications with React! Much more than an intro, you’ll not only learn React, you’ll also learn how to work with a proven set of powerful tools in the React ecosystem to build scalable, real-world applications. Learn to piece together a proven set of tools, adding each tool as you need them, including React Router v4 for paging, Jest for testing, Redux for state management, ESLint and Flow for code quality ...and much more! Comparing to other frameworks, Brian reviews the philosophy regarding the React's approach to building applications. Brian takes questions from students. Brian introduces Factories which are convenience methods for instantiating the component. Then Brian demonstrates how to add props, which is an argument that allows reusable data to be passed into a component. Brian takes questions from students. - The code up to this point is located on the v3-1 branch. Brian installs ESLint into his code editor, SublimeText. Brian creates a webpack.config.js file so he can configure an entry point, output directory, and the specific loaders needed to transpile the application source code. Brian takes questions from students. Since not all browsers support all ES6 features, Brian sets up Babel to transpile the ES6 code to a more compatible ES5 version for older browsers. Brian demonstrates how to configure the Babel preset that will be used in Webpack. Brian creates a webpack.config.js file to configure an entry point, output directory, and the specific loaders needed to transpile the application source code. Now that all the necessary tools are installed and configured, Brian demonstrates how to run Webpack from npm. He also speeds up the build process by setting Webpack to omit the node_modules directory. With the setup complete, Brian starts to build out a demo application that provides basic Netflix experience, by focusing first on making the home page. Brian shows the HashRouter for updating the URL. The HashRouter includes the current route after the “#” in the URL. When pattern-matches the requested route, the application then displays the specified component. Continuing with the demonstration with the HashRouter, Brian adds another route for a newly created search page. Using webpack, Brian loads JSON files into the demo application. Taking the data in the JSON file, Brian converts data into components. Brian takes questions from students. With the JSON data in place, Brian adds the UI for displaying shows. Then Brian makes the ShowCard component and introducing how to pass properties into a component. Brian takes questions from students. Brian explains how to use the ES6 spread operator to pass properties into a component. The spread operator simplifies the syntax making it easier to add/remove properties in the propTypes object. The spread operator also removes the need to wrap the properties in a shape. Brian takes questions from students. When components are generated from a list of data, React needs a method for keeping track of each individual component. The “key” property allows developers to specify a key value for each component. Typically the primary key or some other unique identifier from the data would be used for the key property. Brian introduces the concept of React's one-way data flow, which is also called "one-way binding," keeps everything modular and fast. Brian introduces how the state is managed in a React application. 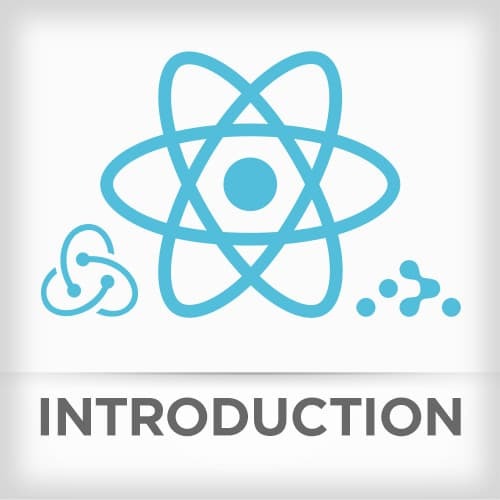 As data is changed inside a component, React has a controlled process of getting, storing, and modifying the current state. The first instance of a mutable state will be in the Search component where Brian adds an input field for the search term. To verify the number of ShowCard components matches the number of shows in the JSON data, Brian writes another unit test. After the test is written, Brian demonstrates how to break the test by including a default search term. To verify the search field is working properly, Brian uses the test framework to simulate a search term being entered and compares the filtered results to the expected show count. Brian offers his perspective on React testing's effectiveness. Brian takes questions from students. Brian introduces a webpack feature called Hot Module Replacement (HMR) that helps replace old modules with the newer ones without stopping the rest of the code from running. With Flow set up, Brian updates Search.jsx by adding a type for the incoming parameter, which is a synthetic (React) keyboard event. Then Brian gets Flow to be set up in ShowCard.jsx to be typed. Brian creates the Details component which will show detailed information about a show. The details component will know which show to display based on data found in the URL. This leads Brian to introduce URL parameters and demonstrate how to specify the parameters in the React Router. The header of the application needs to be used across multiple components. Rather than having duplicate code, the header should be extracted out into its own component. Brian removes the header code from the Landing and Search, and Details components and creates a single Header component. Now that the Header component is being used in multiple places, it will need some conditional logic to determine whether or not the search bar should be shown. Brian begins adding this functionality be creating a boolean propType property named showSearch. Brian introduces the React Lifecycle Methods, which are methods called at different stages throughout a component’s life in an application. One of the most common uses for these methods is to request remote data as soon as a component is mounted. Brian spends a few minutes talking about these methods and to use them. Spurred by a question from a student, Brian works on polishing the demo application to link from the main page to the details page. Brian takes questions from students about when to define components; storing state with context; and more. Brian creates a rootReducer object for the application and explains how the state will be passed to and returned from the reducer. Then Brian creates the store for the application. The createStore method in Redux is passed the rootReducer to create the store. Brian creates the actions for the application. While the files do not need to be in separate files, Brian stores the action definition in an actions.js file and the implementation of the action in an actionCreators.js file. Actions trigger the reducer to carry out the modification of state. To make landing interact with the store, Brian first connects Redux to React with the react-redux package. To set up the Landing.jsx to read and write to Redux, Brian uses Connect function, which allows the component to tap into the Redux store's state. The mapStateToProps allows selects which pieces of state are passed into your component which helps keep thing clean. Brian addresses the issue typed text in the input not being sent to Redux. To address this problem, Brian sets actions that are dispatched to Redux using the dispatch() method. With this in place, a component calls dispatch() on its props object and pass the executed action. Since the search input field in the Landing Component is not navigating to the search page, Brian wraps the input in a Form component to utilize the onSubmit event. Brian takes questions from students. Brian moves on to the Search component and refactors it to read state from Redux. Once Redux is added, the Search component no longer needs the getInitialState() or handleSearchTermChange() methods because that functionality now exists in Redux. The last component to refactor is the Header component. Brian imports the connect object from react-redux as well as the setSearchTerm action creator. He then updates the Header component to read the state from Redux and dispatch the action when a new search term is entered. Brian starts to integrate Flux into Redux by adding an ActionTypes, which are types that can only be that string. Brian sets an SET_SEARCH_TERM to an ActionType. Brian shows how to use combineReducers to create the root reducer. Instead of writing our own root, each reducer separates into its own silo. With combineReducers, each reducer only gets the part that it's concerned about and nothing else. Brian demonstrates the capabilities of the Redux developer tools. Similarly to React, Redux has a set of browser developer tools for viewing and debugging code in the browser. To get the developer tools to work, a small amount of code needs to be added. Brian introduces a thunk, which is a function wrapped around a value and illustrates importance in asynchronous operations. Brian adds the redux-thunk library to the application. This middleware will facilitate the exchange between synchronous and asynchronous actions. Brian creates the getAPIDetails function, which Redux calls to trigger the asynchronous axios AJAX call. The AJAX call results are then dispatched to the addAPIData action. Brian completes the redux-thunk middleware integration by updating the Details component. The Details component calls the getAPIData() function, which triggers the asynchronous action. Since Redux is being used in the Details component, the application no longer reads the state from the local store. Brian recaps async with Redux and takes questions from students. Demonstrating that with the introduction of Redux, Brian shows that most of the existing tests in the application fail because Redux is injected into the components. Brian explains how to use “unwrapped” components in the tests that are free of the Redux dependency. Then Brian updates the snapshot to include the new Header component implementation. Brian creates a reducers.spec.js file for testing the reducers. Since the Redux developer tools can write the test for you, Brian demonstrates how easy it is to write a test for reducers by creating a couple of tests for the reducers using the Redux developer tools. Brian takes questions from students. Brian answers questions from students about tests and reading data from databases. For Universal Rendering to work, the application must run both on the server-side and client-side. Brian spends a few minutes separating the client and server aspects of the application with the core logic of the application now residing in an App.jsx file. To compile the server-side code to CommonJS modules, Brian updates the .babelrc configuration file and then adds the server logic. Brian introduces Express and implements the server-side rendering of the application. Brian introduces a feature of Webpack called code splitting, which gives developers the ability to separate application code into multiple bundles. As a user navigates the application, additional bundles are loaded on-demand. Brian sets up an async route, which is a higher-order component that displays a loading state until a component is completely loaded. Once the targeted component is loaded, the AsyncRoute will remove the loading state and display the component. To enable Babel, Webpack, and Node to all understand the import(…) syntax, Brian includes a few more plugins in babelrc: one plugin for Babel to understand import at all and a plugin to transform Webpack to know to split. Brian demonstrates how the Landing bundle is only loaded when the user navigates to the Landing page. Brian answers questions from students and wraps up Complete Introduction to React.